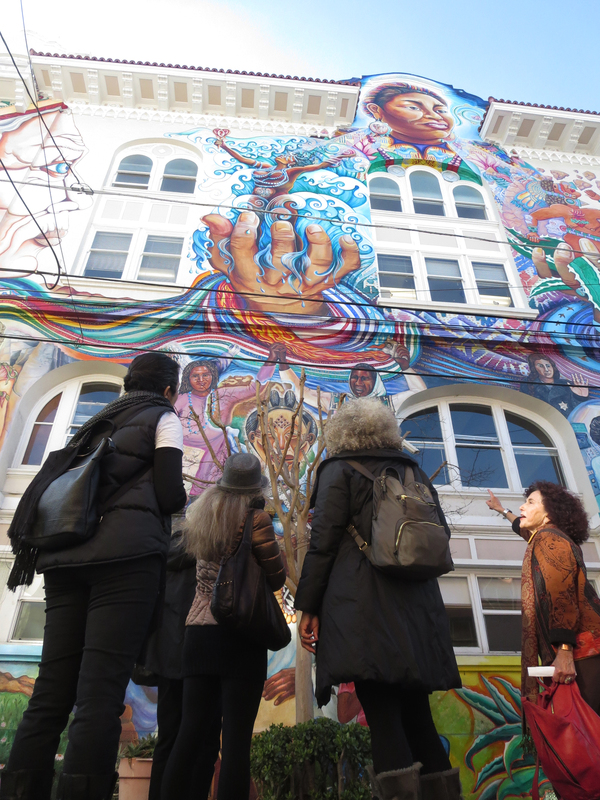 Nearly 25 years ago, a group of women created the iconic mural covering the walls of the Women’s Building in San Francisco’s Mission District, and now these women are hoping to immortalize their work in the form of a new book. 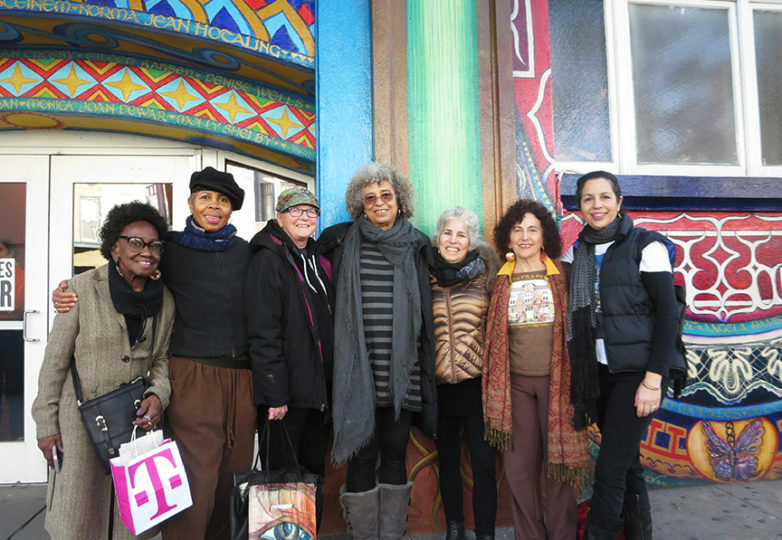 The Maestrapeace collective (whose original muralists included Juana Alicia, Miranda Bergman, Susan Cervantes, Edythe Boone, Meera Desai, Yvonne Littleton and Irene Perez) is hosting a kickstarter fundraiser from March 11 to April 8 to raise $50,000 to complete the book, which will feature an opening essay penned by renowned author and activist Angela Davis. 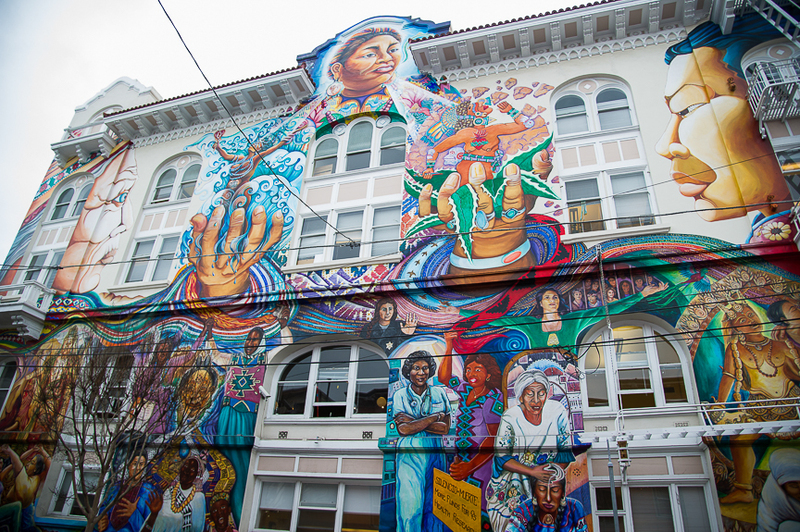 When they embarked on the project in the early ‘90s, the muralists hoped the creation born from their brushstrokes and passion would become a symbol of unity for the artists, a shared vision, and a work of art that would inspire women around the world. “Even back then, we already collectively had over a hundred years of mural experience,” Bergman said. 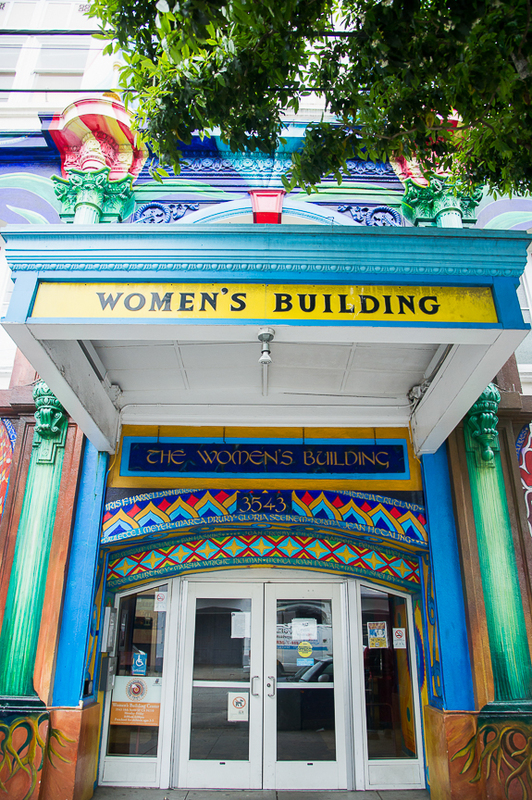 Before beginning their work, the muralists were given information from a survey created by the Women’s Building. 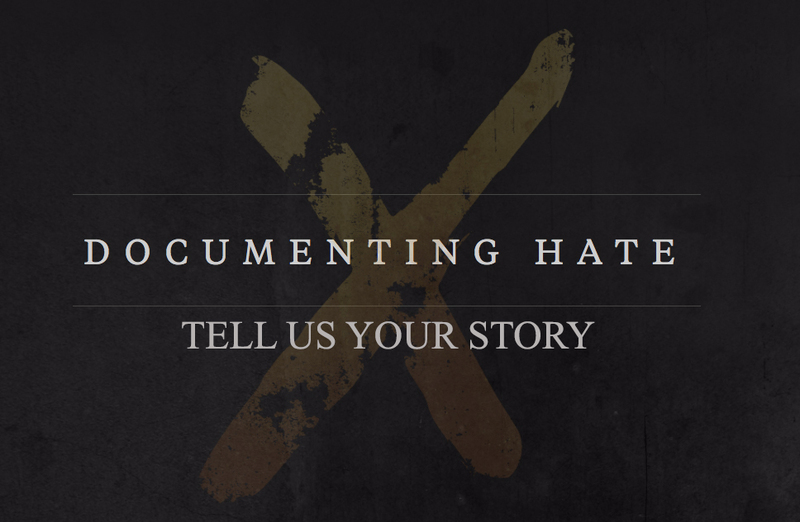 The survey would inform them of the public’s opinion, in terms of what women should be honored or what issues should be expressed. After hearing out different voices from the community, each of the artists created a design, and later merged their visions. Desai said that working with such renowned artists was intimidating at first. 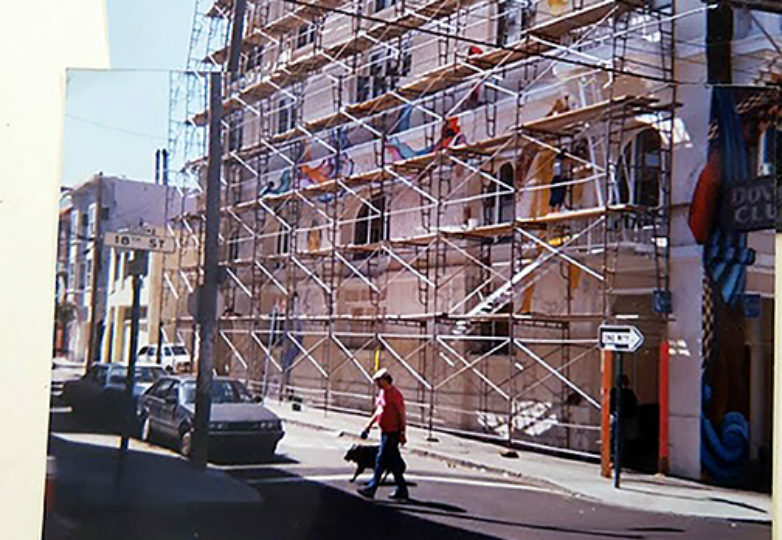 She remembers feeling fear as she painted the top corner of the building—specifically a hat. But she began to feel more comfortable as the friendship between the women grew stronger. “I listened to chanting the whole time as I focused seriously on working and watching my step,” Desai said. 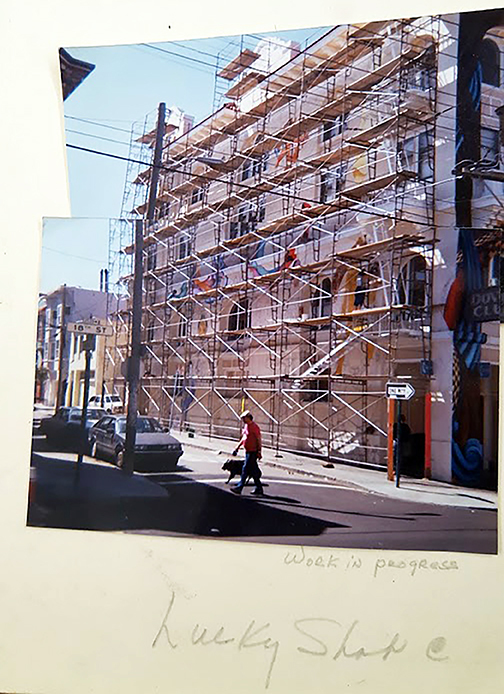 The original idea for the mural was actually just to paint a small portion of the building, but Maestrapeace expanded that vision, proposing a mural that covered the entire building. 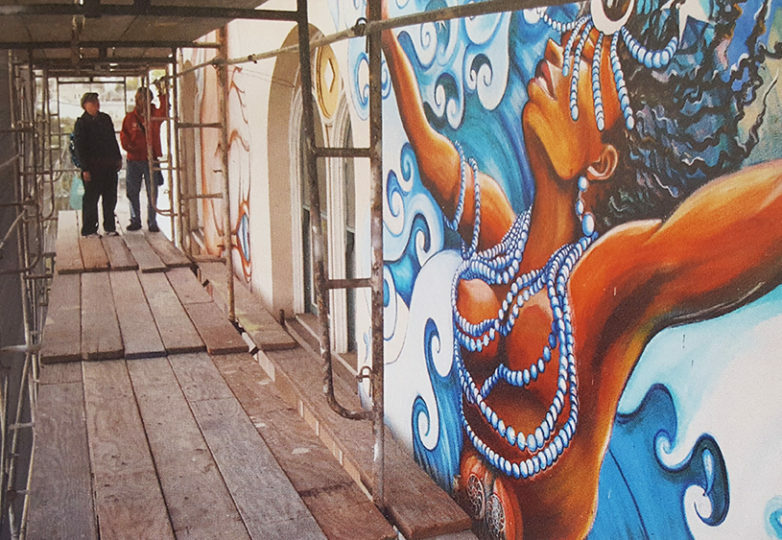 Juana Alicia said the time spent on the mural was such a meaningful project and the most profound experience for her life as an artist. 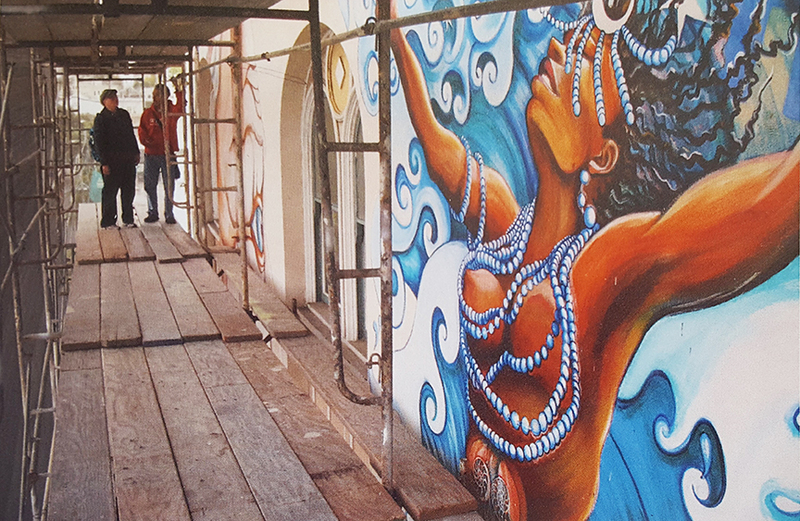 She described the mural as a feminist artwork created to celebrate a dignified image of the female body in a nontoxic way. “It’s feminism for women of color; it’s feminism for transgender women; and it’s feminism in a very wide sense. And the mural really celebrates that,” Alicia said. 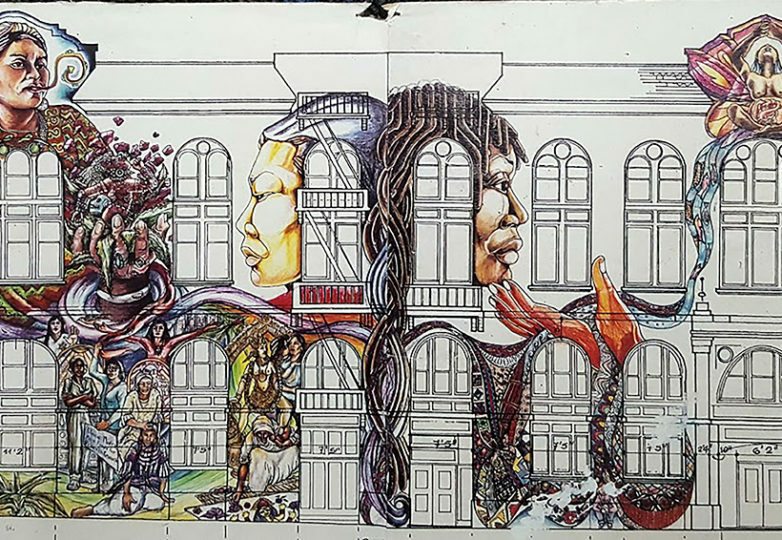 After 18 months of work, the mural was completed, with the help of more than 80 volunteers and the strength and dedication of the seven women, who with their passion, wanted to celebrate female power. The collective’s friendship grew so strong that after finishing the mural, they still manage to meet once a month. 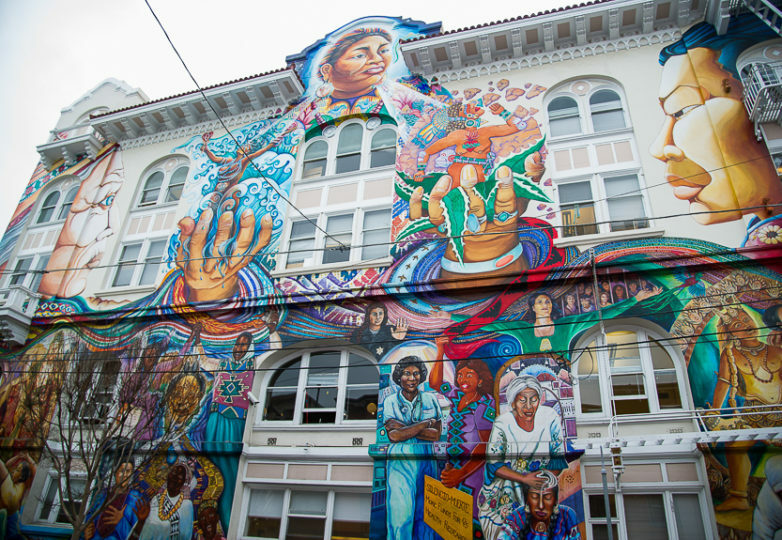 Over the years, they have also restored the mural and expanded it to the inside of the building. 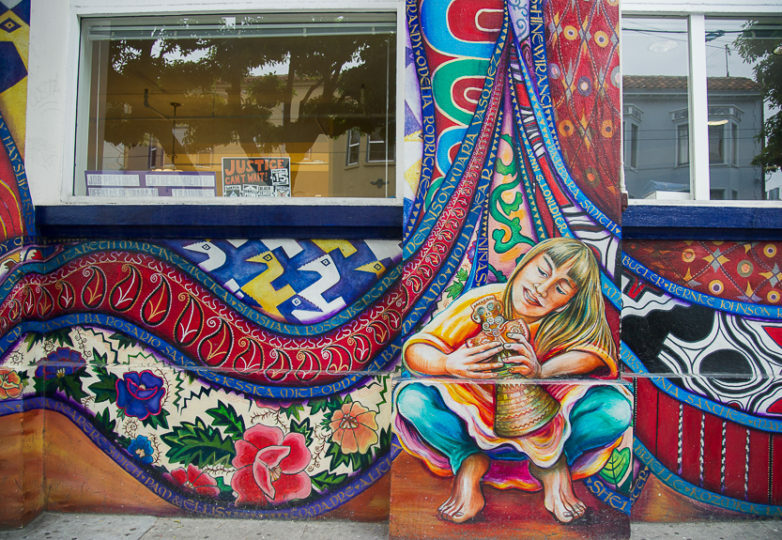 Cervantes—who founded the organization Precita Eyes Muralists in 1977 and who still serves as its executive director—said the group of young women who volunteered to help restore the mural started creating murals on their own afterwards. Cervantes also said they all met with Davis and gave her a tour of the building. She said Davis is very excited about the project and the muralists’ work. “We are very honored to have her presence and to have her interested in doing this essay for the book,” Cervantes said. The collective says the book will be out by the 25th anniversary of the completion of the mural.